The RefillNotLandfill Asia campaign continues to rapidly expand throughout South-East Asia, and nowhere faster than in Myanmar! We firmly believe that thebest way for this campaign to grow is from a solid base, in each country. After many Skype calls and emails, we knew that we had found an amazing partner in Thant Myanmar. Please visit their facebook page to learn more. Wherever you go in Myanmar, you can find clay pots with water or Ye Chan Zin. Building on this sustainable practice, Thant Myanmar has partnered with Cambodia-based initiative Refill Not Landfill – Asia who works with partners to bring water refill stations to Myanmar. You will be able to find the location of the nearest water refill station on their map and you can go and refill your reusable water bottle for free! 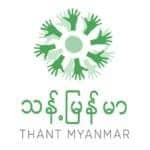 To become a ‘RefillNotLandfill’ refill station; please contact Thant Myanmar on their facebook page, or complete our registration form. To learn more or to become involved in our campaign; please send us a message.